On the morning of the biggest football game of the year, It all boils down to who deserves it the most right? The game is unique in so many ways. Not only is it special because your favorite team may have made it to Super Bowl XLVII, but there are many other reasons. If you’re a fan of quarterback Kaepernick, from the 49er’s team you want them to dominate the game or you may want the heart of the Ravens to shine through. If you are one who chooses the team based on the colors of the uniforms, you also have that right. But never, in a million years, would you have thought of sibling rivalry taking place at the Superbowl. 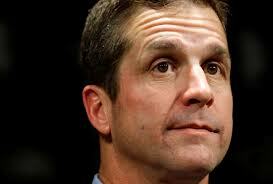 Since John Harbaugh was born in 1962, we can start with him. Sometimes, establishing yourself can be a struggle for anyone to get to the position you were destined to be in. Making the necessary adjustments takes time and preparation. Just because you were not favored initially, doesn’t mean everyone shares the same sentiment. Steve Bisciotti, Owner and Ozzie Newsome, Vice President of Player Personnel/General Manager thought he was the right man for the job. Which is where the first Harbaugh brother, landed the top spot, in Maryland with the Baltimore Ravens in 2008. With so much to prove, he did so by beating out the Cincinnati Bengals on his debut. Can the younger brother top that type of recommendation? 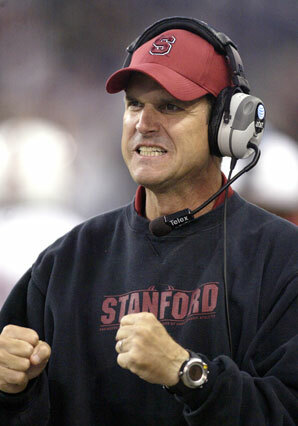 Younger brother, Jim Harbaugh ( December 23, 1963 ) thinks he can. Being an NFL quarterback for 13 years is a great feat. There will always be others trying to take that spot. As assistant to head coach dad for West Kentucky Univ. he also continued to play in the NFL. In the first two seasons of his contract, he led the 49ers to two playoffs. Coaching with his father and maintaining his superior spot as the 49ers head coach is nothing for the bigger brother to sneeze at. Does he really think he is going to win? YES, big Brother, I do! With speed at 4.53 (40yard dash), options of baseball or track and a arm in the XLVII Superbowl game, don’t count this young guy out either. Consecutively, passing over 2,000 yards and rushed for over 1,000 yards in a single season three times in a career, Kaepernick will be there and present to continue to establish a name for his self. The world record setting Kaepernick is doing just that. With a lot going against him in his infant years, you would not know it now. Basketball, baseball, track and football, which one would he choose, decisions, decisions. Let’s not forget that he did all that while maintaining a 4.0 in high school. If anyone was destined for greatness, this guy here would be one of the top one’s in line. There are some people that develop it, and there are people like Kaepernick that were born with it. No matter what the odds are, if you have it, it will shine through, and eventually someone took notice. 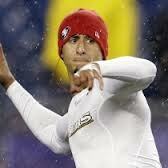 Young Colin Kaepernick (25years old), welcome to the Superbowl. 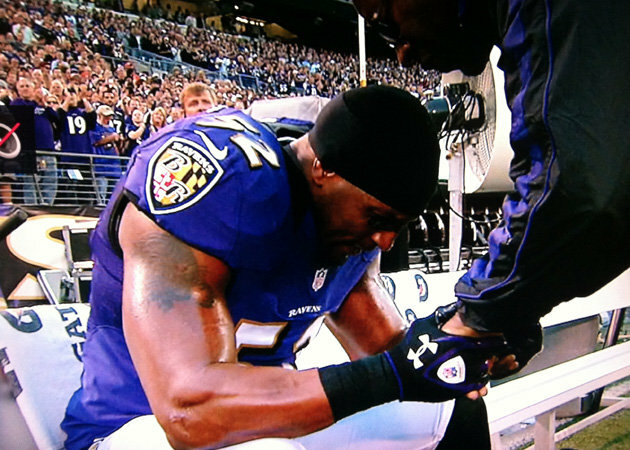 If Ray Lewis could have picked a better time to retire, why not pick the greatest game to go out on, Superbowl XLVII. Lewis has a lot to be proud of. Having played his entire year with the same team since1996, it should be great to represent his one and only team. Leading a defense that has been named the “greatest” in 2000 was just one of the many contributions he gave to the Ravens. Earning his fifth consecutive Pro Bowl selection, Lewis was right at home in Maryland. Legal issues should not define a person true character. Situations arise whether you want them to or not. It is what you learn from it that makes all the difference in someone’s life. It is becoming the true man you are suppose to be that matters. Since this is his last game, let’s take a look back and reflect on his history in the NFL. 2003 All Pro team (49 out of 50 votes), NFL Defensive Player of the Year (43 out of 50) Lewis earned Pro Football Weekly, PFWA and Football Digest Defensive MVP honors and was named to Dr. Z’s Sports Illustrated All-Pro team, Pro Football Weekly’s All-NFL team, Pro Football Weekly’s All-AFC team, Football Digest’s All-Pro first team, and The Sporting News’ All-Pro team. He was named NFL Defensive Player of the Month for November and AFC Defensive Player of the week for his 15-tackle, one-interception performance against the Pittsburgh Steelers in week 17 in the playoffs, totaling 17 tackles. He also earned the KC 101 AFC Defensive Player of the Year award for the 3rd time in four years, the 2003 NFL Alumni Linebacker Of The Year, and finished with 161 tackles, one and a half sacks, six interceptions, two forced fumbles, two fumble recoveries, 14 pass deflections, and one touchdown. 2004 All-Pro by the AP, second-team “All Pro” by College and Pro Football Weekly and Football Digest, and “All Pro” by The Sporting News. He finished the season with 146 total tackles, one sack, two fumble recoveries, one fumble forced, and six pass deflections. 2005 Season was cut short by a week-6 injury. He was placed on injury reserve in week 8, having amassed 46 tackles, a sack, an interception, 2 pass deflections, and a fumble recovery in the season’s first six games. 2006 Led the Ravens defense to an NFL-best ranking in 14 major defensive categories, including total yards allowed, points per game allowed, and interceptions. The Ravens also finished second in sacks, take-aways, and rushing yards allowed. Lewis missed two games due to injury, but still recorded 103 tackles, a personal best of five sacks, two interceptions, and eight pass deflections in 14 games. He also forced a fumble and recovered one. The Ravens allowed just one 100-yard rushing performance in the 14 games Lewis played. Lewis was named AFC Defensive Player of the week following his seven-tackle, one-sack, and three-pass-deflection performance against the Tampa Bay Buccaneers in week 1. He was also selected to the Pro Bowl, but withdrew because of a hand injury, ceding his spot to fellow Ravens linebacker Bart Scott. Lewis finished fifth in voting for Defensive Player of the Year. Lewis totaled 15 tackles and a pass deflection in the playoffs. 2007 Lewis was the team’s leading tackler Despite the Baltimore Ravens’ mediocre 2007 season. Lewis recorded 16 tackles, recovered a fumble, and returned an interception for a touchdown v.s. the Browns. He also earned his 9th Pro Bowl nod in his 12-year career. He finished the season with 120 total tackles, two sacks, two forced fumbles, one fumble recovery, 10 passes deflected, two interceptions and one touchdown. 2008 led the Ravens to the AFC Championship game while totaling 117 tackles, three and a half sacks, three interceptions, two forced fumbles, two fumble recoveries, and 9 passes deflected. He was named a starter to the Pro Bowl (his 10th) and was named an Associated Press first-team All-Pro for the sixth time. In addition, he was named the AFC Defensive Player of the Week following his eight tackles, two interceptions, and two pass deflections against the Houston Texans in week 10. In the playoffs, Lewis totaled 29 tackles, two forced fumbles, and one pass deflection in three games. After the season, he became an unrestricted free agent, but agreed to return to the Baltimore Ravens to complete his career. 2009 Named first-team All-Pro by the Associated Press for the seventh time (9th selection overall) and named to his 11th Pro Bowl. He accumulated an AFC-leading 134 tackles on the season. He also added three sacks, two forced fumbles, one fumble recovery, and seven passes deflected. Lewis added 21 tackles, one sack, and one pass deflection in two playoff games. In the September 2009 issue of Sporting News’ Magazine, Lewis was selected to their Team of the Decade (2000s). In week 2 in 2009 against the Chargers, Lewis made the game-saving tackle on Darren Sproles. After the game, Lewis said it was one of the best tackles he has made in his career. 2010 All-Pro by the Associated Press for the third time (10th All-Pro selection overall) and named to his 12th Pro Bowl. He totaled 139 tackles, two sacks, two interceptions, two forced fumbles, three fumble recoveries, four pass deflections, and one touchdown. Lewis added 13 tackles, one sack, and a forced fumble in two playoff games. On Sunday, November 21, 2010, Lewis became only the second player in NFL history to record at least 30 interceptions and 30 sacks in his career (the other being Rodney Harrison). He is also currently the fastest player (204 games) to achieve that feat. 2011 13th Pro Bowl, and led the Ravens with 95 tackles despite missing four games with an injury. Lewis also collected two sacks, one interception, two forced fumbles, and seven pass deflections. Lewis totaled 20 tackles and one pass deflection in two playoff games. On Sunday, October 16, 2011, Lewis became the first player in NFL history with at least 40 sacks and 30 interceptions in his career. Career totals of 2,004 total tackles (1,523 solo), 18 forced fumbles, 116 passes defended, 101.5 tackles for loss, 40.5 sacks, 19 fumble recoveries, 31 interceptions for 503 yards, one safety and three touchdowns in 222 games. He has been selected to 13 NFL Pro Bowl games, a record for an inside/middle linebacker, in his 16 seasons, and led the NFL in tackles five times (1997, 1999, 2001, 2003 and 2004). In 2003, Lewis led all linebackers with six interceptions, a total matching the post-merger all-time record for a middle linebacker in a single season. Lewis was named first-team Associated Press All-Pro in 1999, 2000, 2001, 2003, 2004, 2008, 2009 and second-team All-Pro in 1997, 1998, and 2010. His 10 total All-Pro selections is a record for an inside/middle linebacker and ties the record for a linebacker (Lawrence Taylor. In 17 career playoff games, Lewis has totaled 163 tackles (106 solo), two sacks, six forced fumbles, one fumble recovery, two interceptions for 54 yards, 14 pass deflections, and one touchdown. 2012 Tearing his triceps on October 14, 2012 during a game against the Dallas Cowboys, and had it surgically repaired three days later. Sports Illustrated reported that many treatments for his torn triceps was deer-antler spray, which is banned by the NFL. Several sources had reported he was expected to return to action December 16 in the game against the Denver Broncos, much earlier than his expected return in January. but he was inactive for the game. On January 2, 2013, Lewis announced he will retire after his team finishes the 2012–13 NFL playoffs. He returned to action for Baltimore’s January 6, 2013 game against the Colts and led the defense to a 24-9 playoff win. On the game’s last play, Lewis lined up at fullback. The Ravens were not slated to play another home playoff game (since they were the number-four seed), so they wanted Lewis to be on the field for the final play. The move also gave Lewis a chance to do his signature pregame dance before the home fans one last time. With the spirit of Modell on his shoulder and the bleeding heart he has for his Baltimore Ravens, will also raise his hand and be accounted for. This game has a lot running on it for Ray. With a dream in his mind, a mentor in his heart and the love for his team, victory is his goal. We here at SET Magazine, solute you Ray Lewis, with your 16year career with the Baltimore Ravens and look forward to watching your final game in Historical New Orleans. From Kaepernick putting his best arm forward, the Harbaugh boys show down, finally showing the other who’s boss, and then Ray Lewis playing his last game of his career and journeying into retirement and or course the late Art Modell watching over him. Will Jim win or John? Will Kaepernick show us what he is all about or will the tides turn in Ray’s favor and grant him one of his biggest wishes into retirement? When you are down to the last game of a career that you have been in for 16 years, he will be determined to go out fighting. John or Jim will finally show dad, who the top coach. Kaepernick may continue on with a Superbowl victory. Whatever team you choose, there can only be one winner!